Once again Guy Fawkes Night is here. For most people in England, it is an occasion for bonfire, fireworks and a bit of partying laced with patriotism and love for the monarchy and religion. holed up and fought is a private care home now. Though Guy Fawkes is not unique to be stamped as a conspirator and challenger of authority and tortured to death, perhaps is the only traitor in history whose death has been celebrated over four hundred years. Surprisingly it was made compulsory by a royal decree the real intent of which was to remind everyone to celebrate the escape from death of a king. It is merely the irony of life that Guy Fawkes the traitor, not the King James I who ordered his death and the yearly remembrance, is remembered every year in an ambiance of mirth and joy long after the King is dead and gone! It is also paradoxical that, Guy Fawkes was only an ammunition expert and foot soldier who joined the elite group of 12 other conspirators who were the main culprits who are all long since forgotten along with the king himself. Perhaps, in a future world when human intelligence gains control over the futility of religious fervour, Guy Fawkes may be honoured for what he was, a soldier who stood for his convictions and a man of character who wouldn’t give up on his colleagues even under torture. Till then everything about him and his group’s saga will remain not good heritage material to be remembered or protected. However, for the local folks of West midlands, where a lot of it happened, the gun powder plot has a lot of local stories to talk about and pass on to the next generation. For the village of Wombourne, which is as old as the times of Guy Fawkes, the bogey of the Headless Horseman, still talked about around the tables of the local pubs, is what keeps the life and death of Guy Fawkes in memory. If you just moved in to Wombourne, this scary story of recent sightings of a headless horseman on the Bridgenorth Road which passes by it, is likely to give you second thoughts on your choice of your location. If you are not bothered about ghosts, it might just whet your curiosity to delve in to past of this lovely medieval village in the West Midlands. Josephine Jasper has dug out the story for the readers of Dudley Bugle and the story goes like this. During the last century, Rhymer Greenshill, that wandering minstrel of the 19th Century, delved pretty deeply into most local legends, and his ballad, "The Ghost Riders" offers an explanation for the spooky happenings in the Wood, which hugs the left hand side of Bridgenorth Road as it leaves Himley Village. 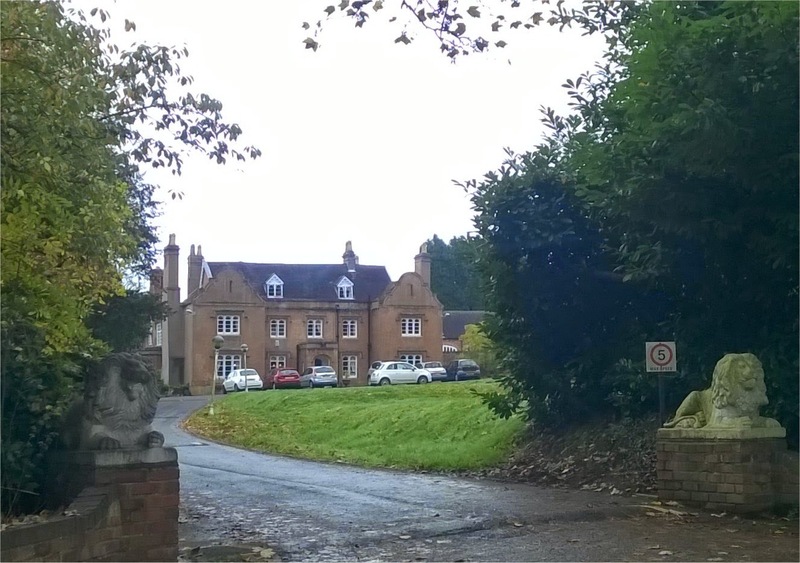 A couple of miles away in the Kingswinford direction, lies Holbeache House, the scene of the last skirmish between the fellow-conspirators of Guy Fawkes and the forces of the Sheriff of Worcester. 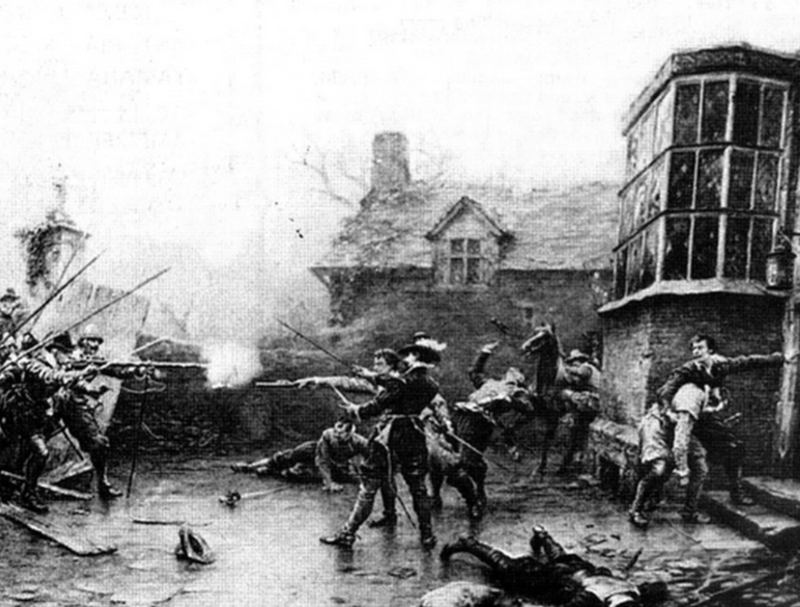 Stephen Lyttleton, kin to the Lords of Hagley, rode hotfoot to his house at Holbeache after the plot misfired and Guy Fawkes had been captured. With him rode Sir Everard Digby, Catesby and the Winter brothers John and Robert. With a retinue of servants and a wagonload of gun-powder, they crossed the Stour, determined to put up a last stand at Holbeache. Well-armed and provisioned to withstand a lengthy seige, they must have felt pretty secure, that is, until they discovered that their gun-powder had become wet during the fording of the Stour. Amidst the gunfire and the plunging of the panic-stricken horses, the servants used furniture from the room to build a roaring fire, around which they placed the casks of damp powder. A spark from the fire ignited the gunpowder and a tremendous explosion took place, blowing the roof off the building and killing half-a-dozen of the occupants. Stephen Littleton and Robert Winter mounted up and managed to escape in the confusion, and were swallowed up in the dense woodland of Pensnett Chase. Lyttleton's young groom, who fought alongside his master in Holbeache House, wounded severly above the throat, managed to climb aboard one of the terror stricken horses and dash through the fire, smoke and the cordon of men-at-arms, and reach the woods, but whereas his master had raced away in the Pensnett Direction and higher ground, young Grove headed for Wombourne and into a section of fenland a mile or so from the house. He was caught there and brutally murdered by the men-at-arms. We have ample evidence that Rhymer Greenshill based his ballads on actual happenings, and there is justification for believing that Gideon Grove died in this manner. Furthermore, there is no doubt about the Wombourne legend of the "Phantom Horseman" who has repeatedly been sighted within the last decade is none other than the Ghost of Gideon Grove! If you wonder what the Headless Horseman would see if he were to take a ride from Holbeach house, which is a private care home now, to Wombourne along the Brigenorth Road, jump in!